MPs have rejected possible UK military action against Syrian President Bashar al-Assad’s government to deter the use of chemical weapons. David Cameron said he would respect the defeat of a government motion by 285-272, ruling out joining US-led strikes. The US said it would “continue to consult” with the UK, “one of our closest allies and friends”. France said the UK’s vote does not change its resolve on the need to act in Syria. 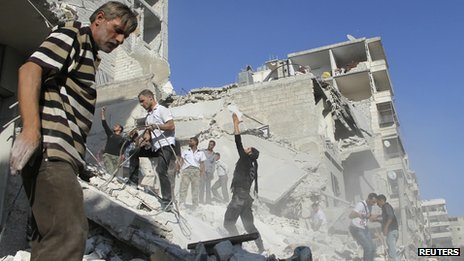 Russia – which has close ties with the Assad government – welcomed Britain’s rejection of a military strike. 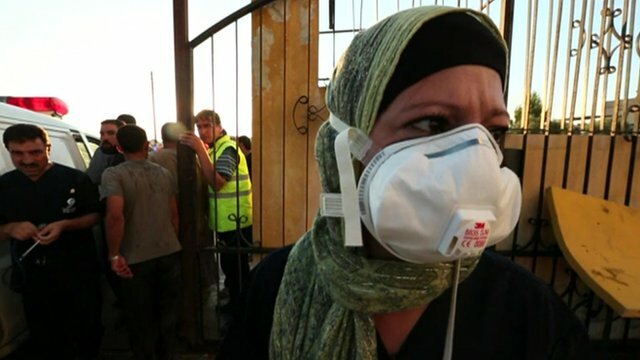 The prime minister’s call for a military response in Syria followed a suspected chemical weapons attack on the outskirts of the capital Damascus on 21 August, in which hundreds of people are reported to have died. The US and UK say the Assad government was behind the attack – a claim denied by Damascus, which blames the rebels. Assad said Syria would defend itself against any aggression. The UK government’s motion was in support of military action in Syria if it was backed up by evidence from United Nations weapons inspectors, who are investigating the attack. They are due to finish their work on Friday and give their preliminary findings to UN Secretary General Ban Ki-moon at the weekend. After the vote Prime Minster David Cameron said it was clear Parliament did not want action and “the government will act accordingly”. Chancellor George Osborne told Radio 4’s Today programme there would now be “national soul searching about our role in the world”. Defence Secretary Philip Hammond had told BBC’s Newsnight programme that he and the prime minister were “disappointed” with the result, saying it would harm Britain’s “special relationship” with Washington. But he said he did not expect Britain’s decision to “stop any action” by other countries. Labour leader Ed Miliband said on Friday that the House of Commons had spoken “for the people of Britain”. “People are deeply concerned about the chemical weapons attacks in Syria, but they want us to learn the lessons of Iraq,” he said. He said Britain “doesn’t need reckless and impulsive leadership, it needs calm and measured leadership”. 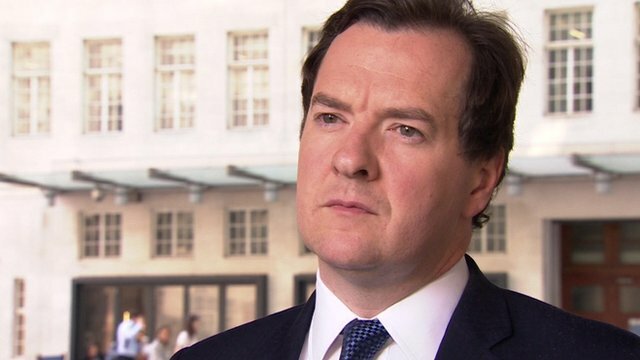 Mr Miliband said Britain’s relationship with the US “remains strong” despite the vote. He said there is a lesson that Britain must do what is in its national interest, even if that means doing something different to America. He also said that Mr Cameron must “find other ways” to put pressure on Mr Assad. The result of the vote was condemned by former Liberal Democrat leader Lord Ashdown, who tweeted that in “50 years trying to serve my country I have never felt so depressed [or] ashamed”. He later told the BBC that by doing nothing President Assad will use chemical weapons more “those weapons will become more commonplace in the Middle East battlefield” and “we will feel the effects of that as well”. Thirty Conservative and nine Liberal Democrat MPs voted against the government’s motion. The defeat comes as a potential blow to the authority of Mr Cameron, who had already watered down a government motion proposing military action, in response to Labour’s demands for more evidence of President Assad’s guilt. The BBC’s political editor Nick Robinson said the prime minister had now lost control of his own foreign and defence policy, and as a result he will cut a diminished figure on the international stage. He added that some strong advocates of the transatlantic relationship were worried that America may now question the value and reliability of Britain as an ally. During the debate, Labour had seen its own amendment – calling for “compelling” evidence that the regime was responsible for chemical attacks – rejected by MPs by 114 votes. But, unexpectedly, MPs also rejected the government’s motion. Labour’s shadow foreign secretary Douglas Alexander said the government defeat was down to the “fatally flawed” case put to MPs by Mr Cameron and Deputy Prime Minister Nick Clegg, claiming the pair’s credibility was now diminished. Shadow defence secretary Jim Murphy said so many of Mr Cameron’s own MPs had voted with Labour because they were now “unwilling to take him at his word”. Conservative rebel Crispin Blunt said he hoped the vote would “relieve ourselves of some of this imperial pretension that a country of our size can seek to be involved in every conceivable conflict that’s going on around the world”. In a statement, the White House said President Obama believed “that there are core interests at stake for the United States and that countries who violate international norms regarding chemical weapons need to be held accountable”. Obama administration officials on Thursday told a group of US lawmakers in a conference call that it was “beyond a doubt that chemical weapons were used, and used intentionally by the Assad regime,” said Eliot Engel, the senior Democratic member on the House Foreign Affairs Committee. US Defence Secretary Chuck Hagel said the US would “continue to work with Britain and consult with Britain as we are with all our allies”. On Friday French President Francois Hollande told the newspaper Le Monde that he would still be willing to take action without Britain’s involvement. He said he supported taking “firm” punitive action over an attack he said had caused “irreparable” harm to the Syrian people. Germany, however, has ruled out taking part. Foreign Minister Guido Westerwelle told the Osnabruecker Zeitung newspaper that “such participation has not been sought nor is it being considered by us”. Meanwhile, Mr Assad told a group of Yemeni MPs on Thursday that Syria would defend itself against any aggression, according to Syria’s Sana news agency. “Syria, with its steadfast people and brave army, will continue eliminating terrorism, which is utilised by Israel and Western countries to serve their interests in fragmenting the region,” he said.